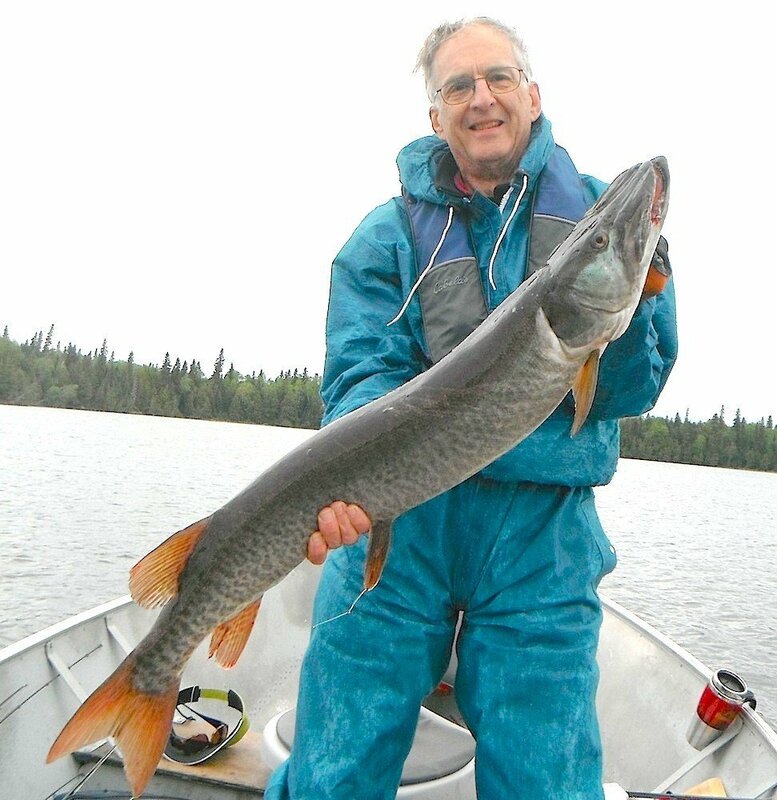 This page is written to give you a better understanding of the different seasonal fishing stages along with Muskie / Tiger Musky movements during each stage on Little Vermilion Lake System throughout our open fishing season, and how Muskie / Tiger Musky reacts during each stage. 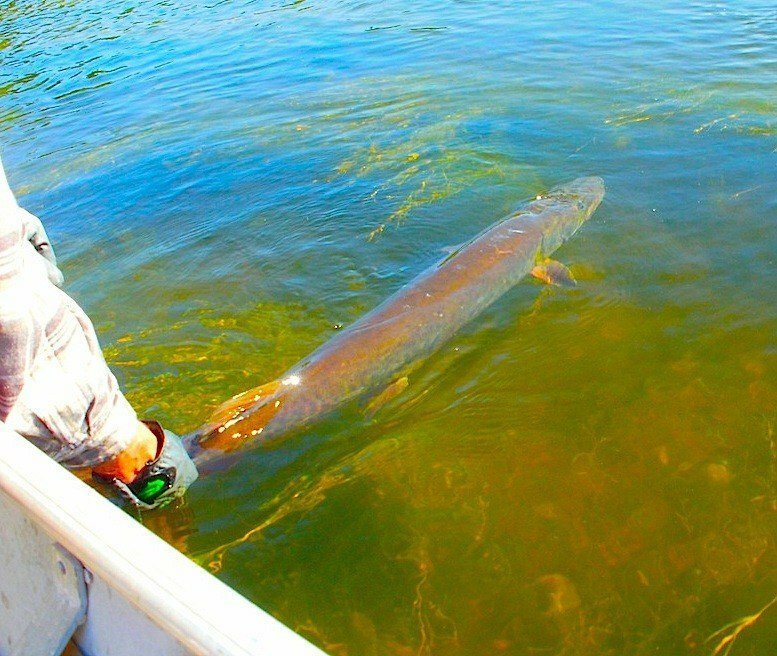 The information below will explain where Muskie / Tiger Musky locate during the different seasonal fishing stages, then applies past knowledge of fishing techniques, lures, flies, and presentations, which have proven to be successful during each seasonal fishing stage. Please read this information and contact us if you have any further questions. 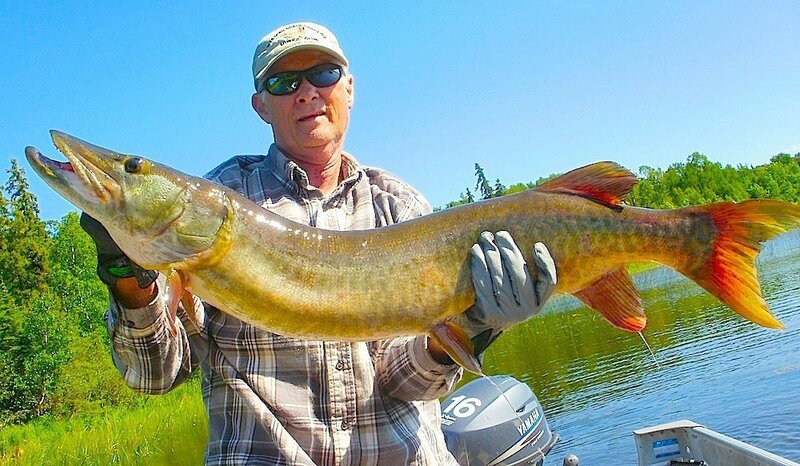 Hopefully after reading the information below you will want to take part in the fabulous Muskie / Tiger Musky Fishing available on Little Vermilion Lake System. Clear Muskie, Barred Muskie, Spotted Muskie, and Tiger Muskie are all available. Enjoy, and hope to hear from you in the near future so we can help plan your next fishing trip to Canada. Fishing at Fireside Lodge is catch & release, which ensures that all Fireside Lodge guests will have a fabulous fishing experience. This stage for Muskie and Tiger Musky starts from when ice leaves the lake, normal being May 1st to May 10th, and will last until the water temperature reaches about 48F or 9C. 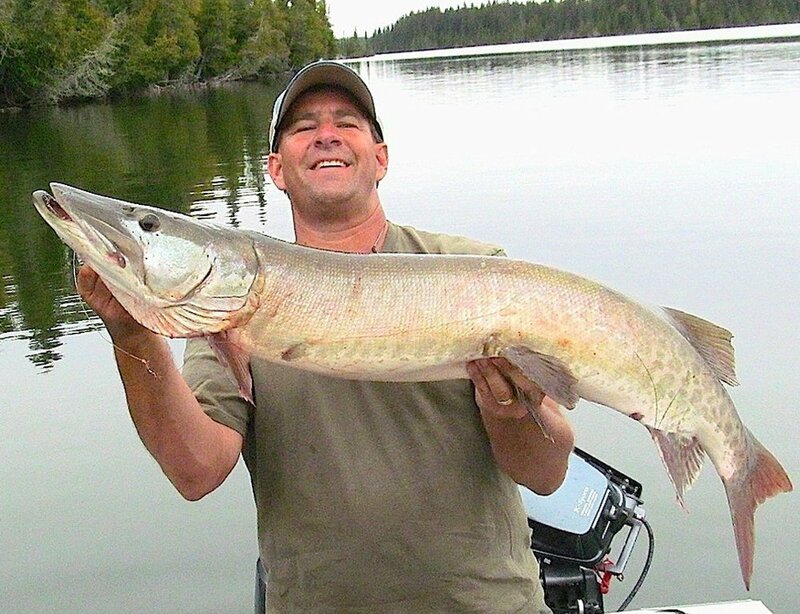 In Northwest Ontario Muskie or Tiger Musky fishing is not open until the third Saturday in June so fishing locations, presentations, techniques, and lures used during this stage are not documented. Instead I have listed some interesting facts and information about Muskie and Tiger Muskie. I advise all Fireside Lodge guests to seek advise on the proper way to handle and hold a Muskie, Tiger Musky, and Northern Pike. I can help anyone with this at my tackle shop. Always make an effort to keep fish in the water as long as possible as it will get no oxygen when out of water, and a fish tried from the fight is in need of oxygen. Having your lures set up with barb-less hooks aids in the handling of fish greatly, making hook removal much easier. Also, stick with the revival of a fish as most will recover and swim off. This can take up to 20 minutes with a stressed fish. Large fish tend to experience more stress during a fight so the release usually takes longer. It is very important to pay attention to the above tips in helping to sustain a healthy Muskie, Tiger Musky, and Northern Pike fishery. 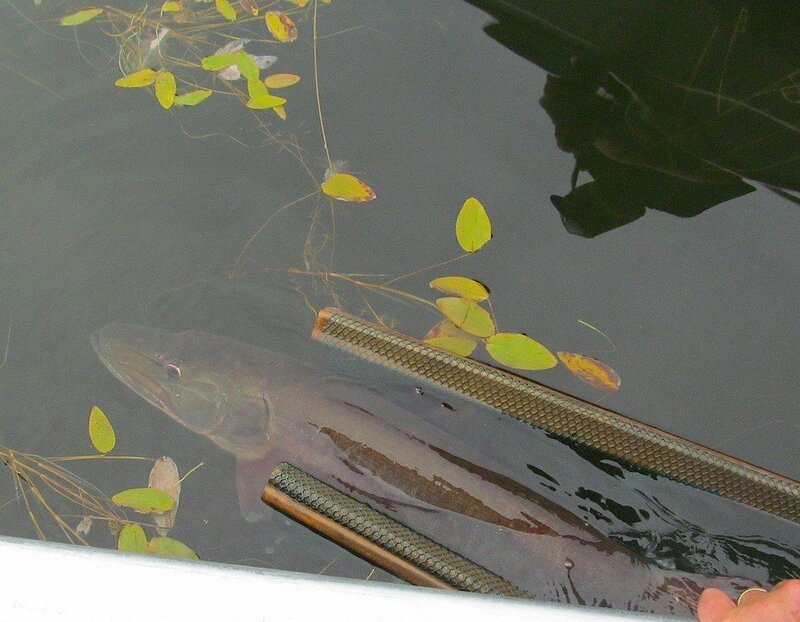 Muskie spawning activity starts with water temperatures reaching 48F or 9C and continues through 60F or 15C. Time wise the spawn normally takes place between the 4thweek of May to the second week of June. 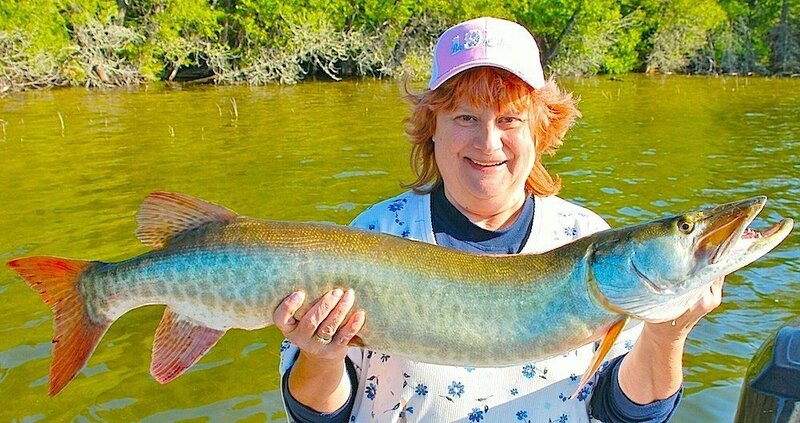 Muskie season is closed during the spawn fishing stage opening on the third Saturday in June, so information about fishing locations, presentations, techniques, and lures are not documented. However in order to provide some interesting information about this fascinating natural happening I have included some facts about the Muskie spawn every Musky fisher should enjoy. 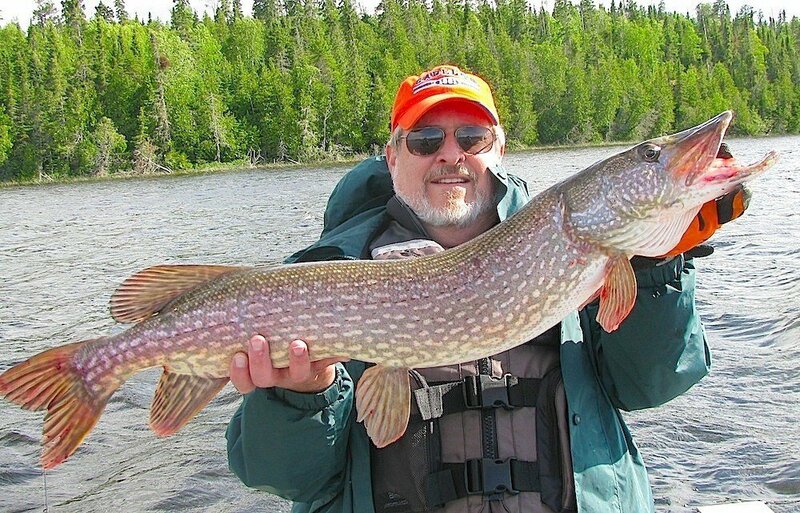 Musky and Northern Pike spawn in similar habitat and at times use the same locations. Muskie attempt to attach the fertilized sticky egg mass to old standing vegetation, which will keep the eggs off the bottom and well oxygenated. Musky fry feed off their yolk sack before eating plankton found among the weeds until they reach size to eat small fish. If Muskie and Northern Pike spawning overlaps because of unusual weather/water temperature conditions, then there is the potential of a male Pike spawning with a female Musky resulting in a possible hatch of Tiger Musky. This is not the norm but happens during a quick warm up in early spring. 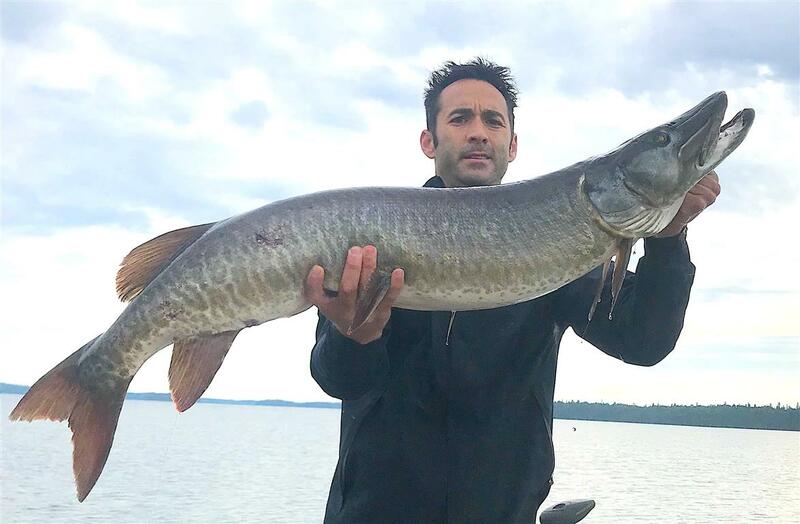 In lakes with a good Muskie population along with a good Northern Pike population Musky tend to grow bigger with more adults reaching maximum size. 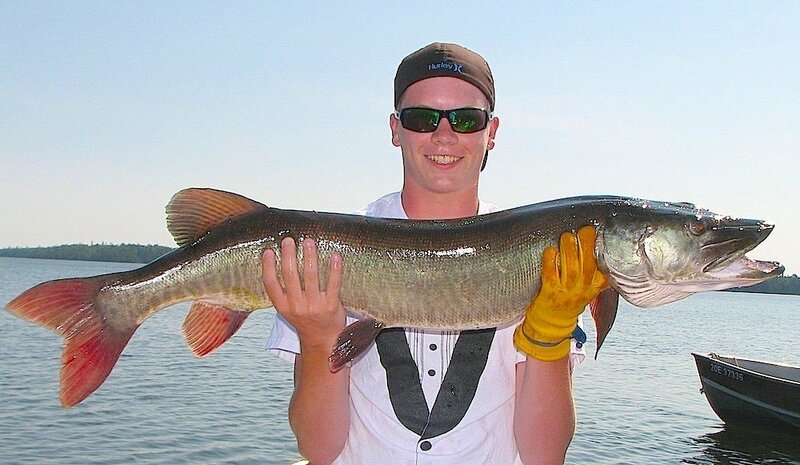 In lakes, which are considered pure Muskie lakes; most Musky will not attain a length greater than 40-inches. When both Muskie and Northern Pike populate the same lake many Musky seem to grow over 40-50-inches and can reach 60-inches or larger. This stage coincides with opening week for Musky, the third Saturday in June. Muskie & Tiger Musky during this stage locate near rocky points, sunken islands, rock-reefs, submerged trees, humps, by creek inflows, and classic saddle areas. Any structure just mentioned having access to deep water or if the structure is near the spawning areas makes it a prime location. Medium to smaller size lures tend to produce more action. Lure presentation should be stop and go, or medium to slow with some hesitation or change in direction. Never completely count out a fast presentation or larger lure, but use these techniques less often during this fishing stage. Muskie & Tiger Musky feed less frequent than all other freshwater fish, and the feeding times are noted for happening in short bursts. Being patient and persistent is a Muskie fisher’s best asset. 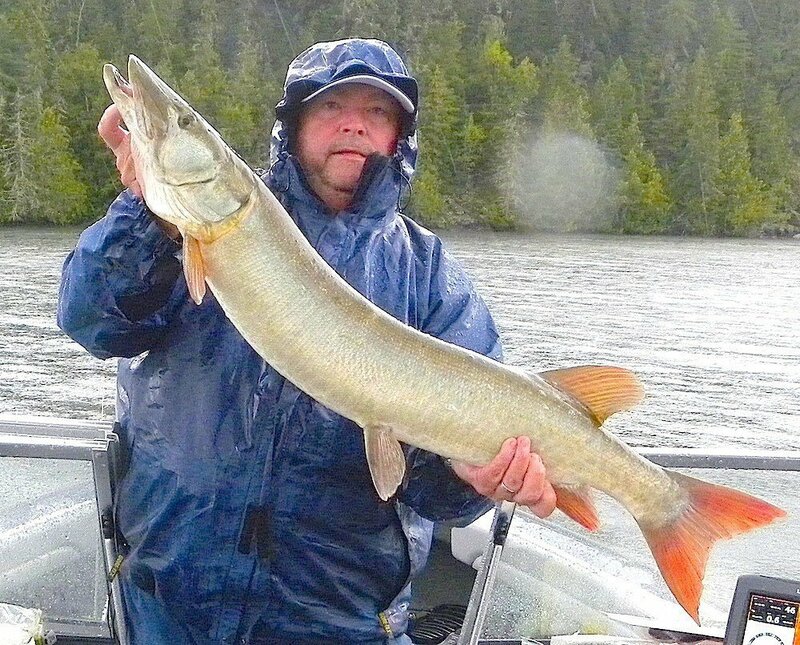 Even with these unusual feeding habits Fireside Lodge and Little Vermilion Lake System is known for Terrific Trophy Muskie Fishing at Fireside Lodge Canada producing many Muskie / Tiger Musky along with a lot of trophy class Muskie and Tiger Musky. 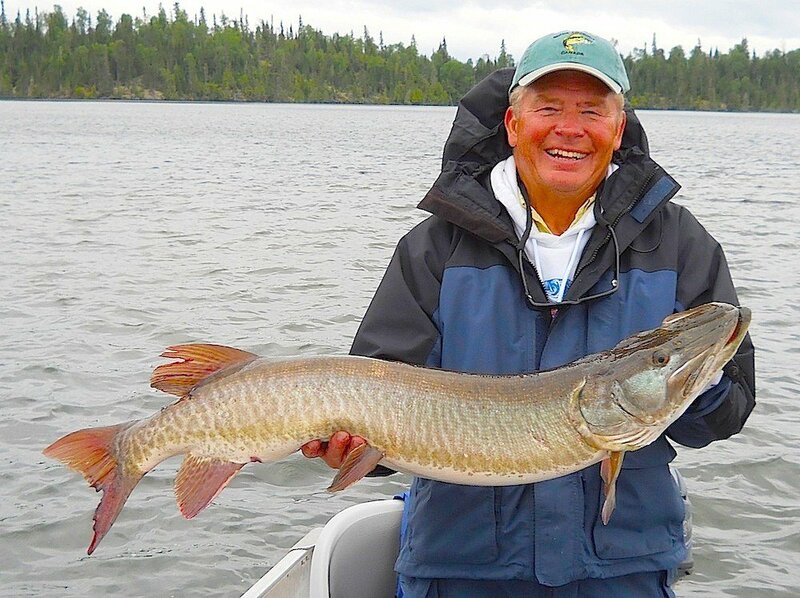 Many Fireside Lodge guests having limited or no experience in Muskie / Tiger Musky fishing have left catching not only their first Musky, but also several others. Receiving knowledge goes a long way to Muskie fishing success, and that’s what I try to give every Fireside Lodge guest who visits our tackle shop. 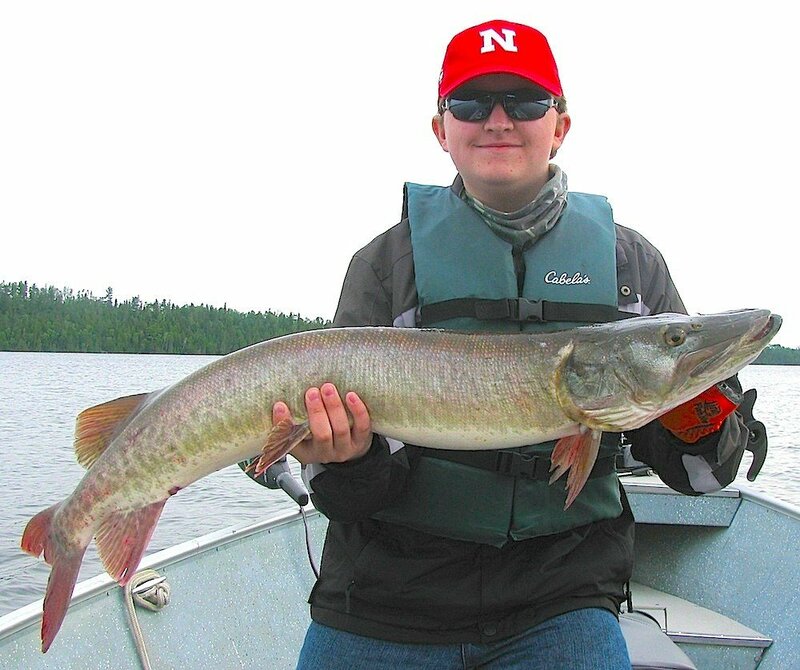 Muskie / Tiger Musky fishers become successful by learning and applying what they learn on the water, not because they inherited a special talent for catching Muskie. Lure selection can vary a lot at this time, as it is hard to determine what will stimulate a Muskie / Tiger Musky to strike. A few suggestions are a jerk bait, suspending twitch bait, floating lure which dives on the retrieve, buck-tail or hairless spinners, soft or hard swim baits, spoons, and soft plastics. Fly-fishing subsurface with streamer flies, gurglers, or divers are very productive. An excellent presentation is using a sink-tip line and slowly sinking the fly with a stop and go action, and creating a change of direction. Fly-rod weight can be either #8 or #9, depending on the fly. Using a #10 weight with larger flies is also a good choice. 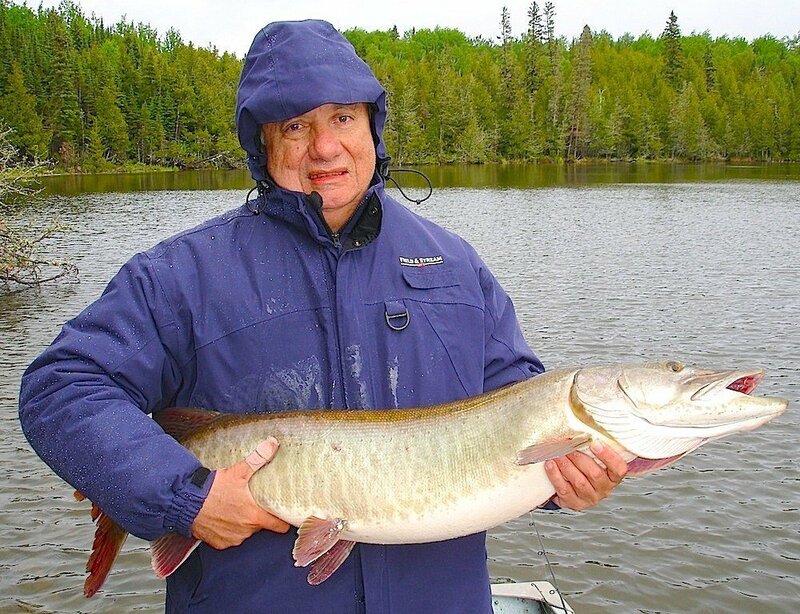 During this Fishing Stage for Muskie & Tiger Musky water temperatures are reaching 60F or 15.5C, which will have Trophy Clear Muskie Fishing at Fireside Lodge CanadaMuskie and Tiger Musky go into a more positive feeding mood. Better fishing locations at this time will be rocky i.e. : main lake points, rock substrate structures related to shoreline especially when depth changes quickly, rock reefs near bays, neck down areas, or islands, islands near bays or neck down area, humps, and saddles between two other structures like an island and shore or reef and island. Muskie & Tiger Musky will also use weed beds in bays, on saddles, or along shore. The areas described above, when combined with deep main lake access, are ideal locations. Another location often overlooked which attracts Muskie and Tiger Musky is open water areas, which are used by big schools of cisco and whitefish. 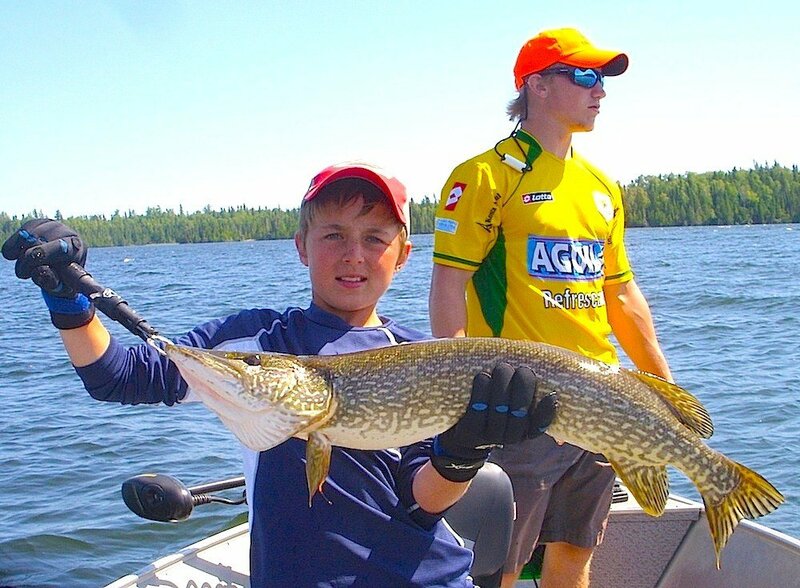 A wide variety of lures can be productive during this stage. Fish imitating lures diving or floating depending on location, jerk or twitch baits, swim baits, spinners of all types. 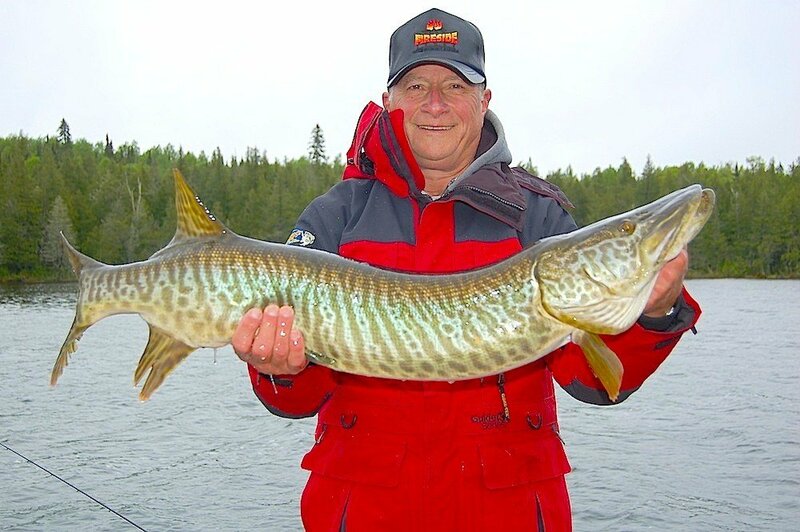 First Trophy Tiger Musky Fishing Fireside Lodge Canadabuck-tails, surface or subsurface splash or wobble baits, soft plastics, spoons, and glide baits. If and when the water temperatures reach 72 degrees, surface lures can be very affective. Presentation and techniques need to vary depending on feeding activity. If feeding & action is slow size down and slow down. If activity is high, increase size of lure and speed of retrieve. I find more consistent success with medium size lures while using an erratic retrieve. During my retrieve I will actually completely stop my retrieve for the count between 5-10 one thousand. For a demonstration of this watch my YouTube video on our YouTube channel, the full 22-minute version. Best flies for Fly-Fishing are subsurface divers, gurglers, and streamers. Poppers or gurgles stripped fast on the surface can get some exciting action when water temperatures attain over 70F ideal being 72F or higher. Fireside Lodge guests can get all this information plus much more at our tackle shop located in the main lodge area during breakfast & supper hours. 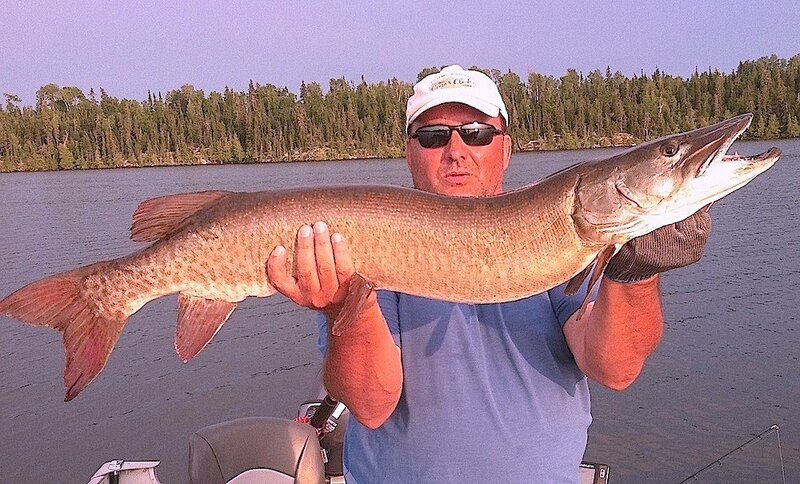 Late July to late August identifies this fishing stage for Muskie and Tiger Musky. Fish locations and lures will be similar as the early summer stage above. During this time period you can use bigger lures with more confidence. Jerk-baits, wobble-baits, larger buck-tails, double bladed spinner baits, large plastics, jigs with trailers, swim baits and surface baits will all work. Surface baits can excel during this fishing stage, if the water temps stay between 72F-75F, and creating a lot of water disturbance with these lures can be an advantage. 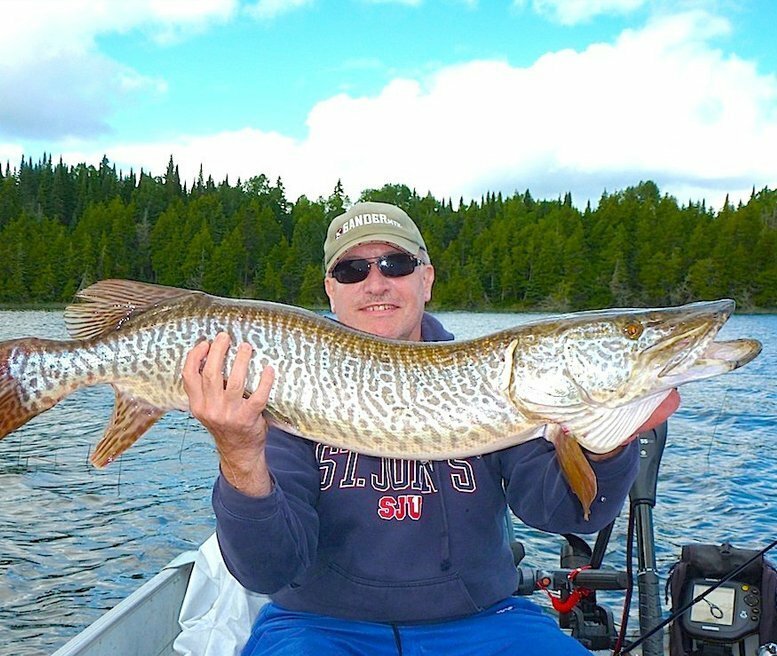 Despite this do not abandon medium size lures with a slow presentation.This might seem like surprising advise but if Muskie and Tiger Musky are in a Trophy Muskie are Fabulous Fishing at Fireside Lodge Canada neutral feeding mood they will not chase big fast moving lures. Just think how you feel after eating a full meal. The last thing you will do is rush to eat another full meal, but we all tend to snack a little an hour or two after eating. If Muskie & Tiger Musky are not feeding, they are full, they will not chase a big fast moving fish or lure. They are however opportunists and might snack on a small slow moving plastic bait. By moving it very slow and keeping it in front of the fishes face some will not be able to resist the easy snack. All of a sudden you convert that neutral feeding fish into a Musky catch. Try this next time fishing and I think your will be surprised at the positive results. Productive Fly-fishing flies will again be a combination of gurglers, steamers, divers, surface poppers, and specialty foam constructed flies. 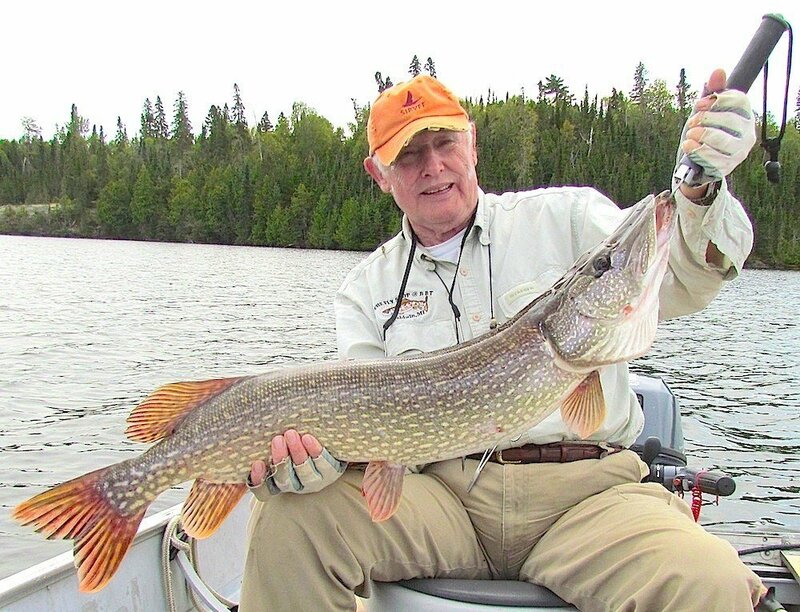 Fly-Fishers will find this fishing stage an excellent time to use many different types of flies and presentations, having a great opportunity to land a Muskie & Tiger Musky of their lifetime. Come give this great Fly-Fishing challenge a try. Starting the end of August through November 1st defines this fishing stage for Muskie & Tiger Musky. 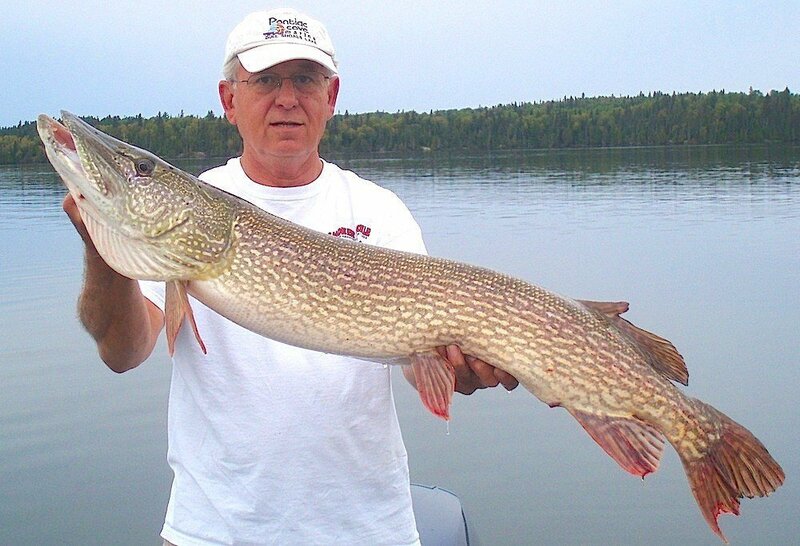 Beginning with the end of August these fish will locate in similar areas as the preceding summer fishing stage. However as time moves through the summer/fall fishing stage these fish will increasingly locate on lake rock structure of all types, including points, reefs, shore protrusions, ect., and will locate less around weedy areas. In Late August Muskie & Tiger Musky will be active on rock and weed locations by their yearly spawn locations. Primary lure-fly usage, and the techniques applied to present them during this fishing stage will at first be similar to the summer stage. As time progresses on during this fishing stage slower presentations, and sizing down lures-flies will produce better. 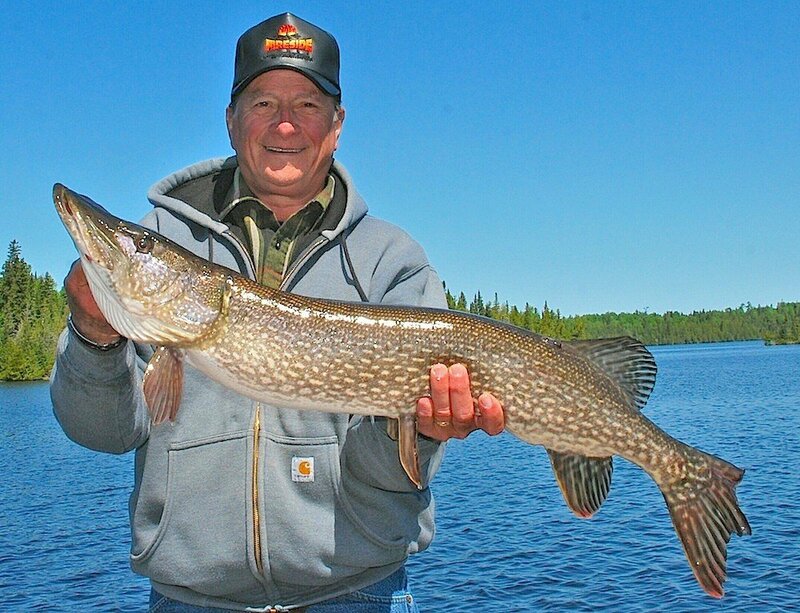 As the water temperatures cool so does the fish metabolism, so lures-flies will Trophy Muskie Fishing Lakes at Fireside Lodge Canada bring more results if you can keep your presentation in the fish zone longer. Using lures or flies you can present with a slow action retrieve, a pause or stop & go action usually produce more strikes. Jerk baits like a Suick or suspending lures like an X-Rap work well as do soft plastics on a jig, or slowing retrieving a spinner or spoon. Surface lures with a slow retrieve can also have their moments. At times fishers will experience fast action with fish feeding actively, so be prepared to adjust and use faster presentation techniques when these situations arise. The fish will let you know when these select moments of activity happen. This can be a fabulous time, especially during the first few weeks of the fishing stage, as the fish are feeding in anticipation of the cooler water temperatures and the winter month’s that will follow. Muskie and Tiger Musky attain their heaviest weight of the year, plus a fisher’s chance of landing a monster Trophy fish are excellent. Great fishing along with cooler nights, no bugs, and the fall change starting to take place, makes this time of year a perfect opportunity to enjoy fabulous sport of fishing for Muskie & Tiger Musky in our pristine wilderness. Come and enjoy the great fishing we have at Fireside Lodge for Muskie / Tiger Musky If you have any questions please contact us anytime. Note: For information on Fishing Seasons for all fish species, lakes, and special regulations see the fish species page. All Fish Photos were of fish caught and released by a Fireside Lodge Guest.